About Big4AccountingFirms.org - Here's Who We Are and What We Do! 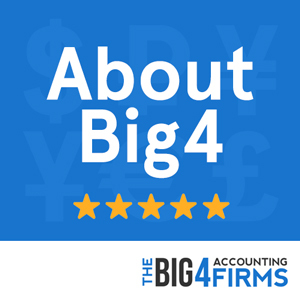 Hello accounting friends, the main purpose of big4accountingfirms.org is to help answer some of the most common questions regarding the big four accounting firms (Deloitte, EY, PwC, KPMG) as well as guide aspiring accountants in the right direction. If you have something you would like us to write about, fill out this contact form and we’ll get back to you as soon as we can.